© copyright 1980 by Lance Micklus, Inc.
(tm) trade mark of Paramont Picture Corp. used by permission. 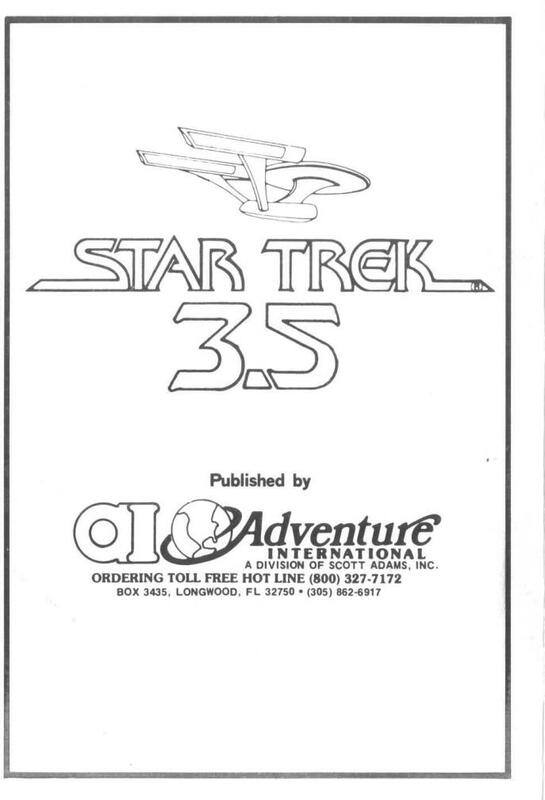 This version of Star Trek(tm) III includes the following changes and improvements: Action sound effects. 10% faster execution time due to improved code optimization. Up to 30% faster display times for long amd short range sensor scans. Smoother command flow. Multiple moves when using impulse engines during non-combat situations. Reduction of some unnecessary screen display Improved Klingon battle logic for greater challenge. A three-dimentional galaxy made up of 192 quadrants. A galaxy made up of various types of stars, planets, black holes, and a pulsar. A mission which involves both exploration and combat. A DIVISION OF SCOTT ADAMS, INC. 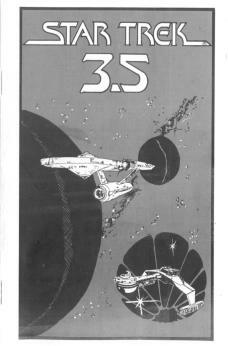 Welcome to the world of STAR TREK (tm) III, based on the original N.B.C. television show and major motion picture feature. 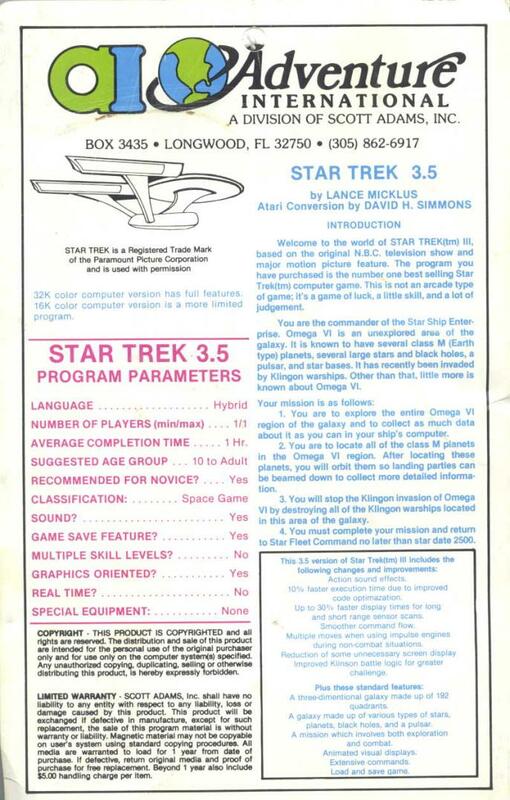 The program you have purchased is the number one best selling Star Trek(tm) computer game. This is not an arcade type of game: its a game of luck, a little skill, and a lot of judgment. You are the commander of the Star Ship Enterprise. Omega VI is an unexplored area of the galaxy. It is known to have several class M (Earth type) planets several large stars and black holes, a pulsar, and star bases. It has recently been invaded by Klingon warships. Other than that, little more is known about Omega VI. 1. You are to explore the entire Omega VI region of the galaxy and to collect I as much data about it as you can in your ship's computer. 2. You are to locate all of the class NI planets in the Omega VI region. After locating these planets. you will orbit them so landing parties can be beamed down to collect more detailed information. 3. You will stop the Klingon invasion of Omega VI by destroying all of the Klingon warships located in this area of the galaxy. 4 You must complete your mission and return to Star Fleet Command no later than star date 2500. For the purposes of the game, Omega VI is a section of the galaxy which is divided up into 192 quadrants. The galaxy is three dimensional, making it 8 by 8 by 3. Each quadrant is made up of 64 sectors which are two dimensional - making them 8 by 8. Star Fleet Command headquarters are located in the star base at quadrant 7,7,2. Docking (explained later) at this star base concludes the game. There are 20 Klingon warships and 5 class M planets. Although these numbers are fixed, the location of each of these items is set up randomly at the beginning of each game. Thus, each game is different. Class M planets are always located in quadrants which contain only one star and one planet. Four of the quadrants contain either black holes or class 0 (very large) stars. Entering any of these quadrants destroys the Enterprise and ends the game. Finally, there is one pulsar. Because the pulsar gives off so much radiation, all of the quadrant surrounding it can not be scanned with long range sensors. These quadrants will appear on your display as space noise. You may -- and should -- explore them, but you should never enter the quadrant where the pulsar is or the ship will be destroyed. Put tape into tape recorder. Type in CLOAD to load the first program. Hit the return key on the keyboard. Type RUN to play. 1)	Load sound program into computer. 4)	Plug in earphone or any speaker (up to HI-FI size) into the earphone jack on the cassette recorder. 5)	Open the cassette recorder top as is you were putting a tape in. In the left back you will see a small micro switch. If you press the switch you will also be able to press the "RECORD" switch down at the same time. Do this now! 6)	Pres the "RECORD" switch and the "PLAY" switch at the same time. 7)	You should now get sound from your earphone or (or speaker). For all computers: Be sure that you are not using write protect tabs on the destination disks. Backup your original disks before following these procedures! If your APPLE has DOS 3.2, you can simply boot the disk Drive 1 and the disk will auto-run. You can accomplish this by locating the on/off switch on the back left hand side of your APPLE. 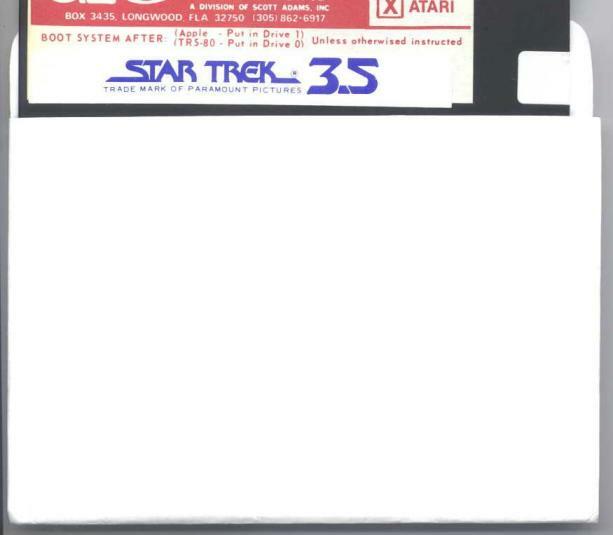 Place the disk into Drive 1 and turn the Computer on. The program should start running by itself. If you should have any problems, please contact Adventure International. If your APPLE has DOS 3.3, you will have to convert this disk to the format that your computer uses. This is acomplished by use of the MUFFIN utility provided on the DOS 3.3 master. Instructions on the use of MUFFIN are provided in your DOS 3.3 user's manual. If you have more than 1 drive, simply place the Adventure International disk into drive I, and a copy of TRSDOS into drive 0. Boot the system, This is done by pressing the reset button, located on the back of the keyboard on the left-hand side. After booting the system. type 'AICHAIN' and the program should start running automatically. Place the Adventure International diskette into drive 0 and boot the system. This is accomplished by pressing the RESET button on the back left-hand side on the keyboard. The disk will ask you for the 'DESTINATION DRIVE?'. Answer this with a '0'. Then follow the instructions given by the program regarding when to swap the disks. After the transfer utility stops, take the destination disk and boot it in drive 0. When 'DOS READY' appears type 'AUTO AICHAIN'. Bout the system once again anti the program should thereafter auto-run. The program is written in BASIC. It is normal for some of the lines in the beginning of the program to appear rather funny on the screen if you type the BASIC command LIST. Begin the program by typing RUN. It takes about 20 seconds for the program to initialize. When completed, you will see a short range sensor scan. You are ready to begin play. This display shows you the location of everything in the quadrant where Enterprise is located. Positions are shown in X-Y format, where X is the horizontal location, and Y is the vertical location. The upper left corner is location 0,0 and the lower right corner is location 7,7. In the above sample display, the Enterprise (==..##) is located at sector 1,1 and the star base (..T..) at sector 3,2. After you have seen the short range sensor scan, press the (ENTER) key to go to the main menu. It consists of 12 major commands, plus 1 invisible command (not shown in the menu). This display gives you the basic information you need regarding the status of the ship. Pay especially close attention to the energy level as you play the game. If it ever goes below zero, you will lose the game. To get a damage control report, select item 1 from the main menu. This tells you which main components of the ship are operational and which are not. Please note the Damage Control itself can become inoperative. If this happens, you wilt receive no warnings, notifications, or other information on the status of the other major components of the ship. In the above sample display. the Ship's computer is out of service but can be expected back in service shortly. The long range sensors and Phasers have been damaged. Repairs on those two items are a long way from completion. The science computer identifies each item in the quadrant the Enterprise is currently located in. There are two items of special interest to you. The first is the identification of any planets in your quadrant. Class G planets are not suitable for human life. Class M planets are suitable for human life. When a planet is identified as Class M. you should orbit that planet. Orbiting a Class M planet implies that a landing part was beamed down to the surface and then returned to the ship -- completing one spot of your mission. 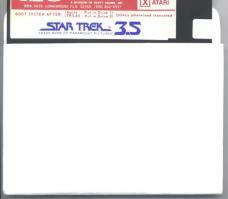 The second function of the science computer is to identify Klingon warships. The important information you need to know is how much energy each warship has. During a battle situation, the science computer will automatically display this information -- unless the science computer is damaged. Part of your mission is to obtain as much information as you can about the Omega VI region of the galaxy. This information is stored in the ship's computer. Thus, the ship's computer stores what is known about Omega VI and this information base is continually being added to as the game progresses. Selecting item 0 from this menu will tell you where all of the Klingons, found to date, are located. Selecting item 1 from this menu will tell you where all of the star bases, found to date, are located. Selecting item 2 from this menu will tell you where all of the Class F stars (small stars), found to date, are located. Selecting item 3 from this menu will tell you where all of the planets found to date, both Class C and Class M, are located. Selecting item 4 from this menu will tell you which areas of Omega VI are still lacking in information. Since your mission is to explore the entire Omega VI region, this item should turn up nothing if your mission is to be a total success. Selecting item 5 from this menu will produce a long range sensor scan for any area of the Omega VI region, based on the data currently stored in the ship's computer. The words "NO DATA" will appear in any quadrant which has never been scanned. When using this command, the program will prompt for the quadrant location which should appear in the center of the display. Assuming you reply with 1,4,1, you will then see a long range sensor scan as it would appear if the Enterprise were located at quadrant 1,4,1, based on currently available data. The regular long range sensor scan based on the Actual location of the Enterprise, will be explained later. Selecting item 6 from this menu will prompt for a quadrant location. Enter a valid quadrant location and the ship's computer will give you all known details of that particular quadrant. This is a good way to check and see if a class M planet has keen entered into the ship's computer as being explored. The ship's computer is your friend. It gives you important information which you need to complete your mission. But remember one thing. The ship's computer is only going to tell you about those things it knows about. When you start game, if you request a long range sensor scan of the area around quadrant 1,1,1, you will see nothing but 'NO DATA' because there is no data available about that area. Later, when you fly the Enterprise over to that part of the galaxy, the ship's computer will obtain information about these quadrants and store them in its data base for later recall. At the end if the game, Star Fleet Command will analyze all of the data in your ship's computer. Your rating as a commander will be based, in part, according to the completeness of this data compared to the actual galaxy you were exploring. Selecting item 4 from the main menu displays the long range sensor scan. This scan shows you what is located in each of the quadrants around you. The quadrant you are currently in will always be in the middle. This scan differs from the long range sensor scan obtained from the ship's computer in the following way: Long Range Sensor Scan (#4-main menu) shows you what is really out there, all around you, right now. The scan from the ship's computer shows you what the long range sensor scan would look like id the Enterprise were located some place else based on the current data. One very significant thing happens when you make a long range sensor scan. All of the data displayed on the screen is also stored in the ship's computer for later recall. This is how the ship's computer obtains its information. The rest of the information is obtained from the science computer. Since part of your mission is to document as much as you can about Omega VI. you should always use your long range sensor at least one time whenever you move the Enterprise to another location. Above is a typical long range sensor scan. There is a star base at quadrant 5,5,2 where the Enterprise us shown as being currently located. There are two Klingons at quadrant 6,4,2. Areas, such as 6,6,3, are shown as UNKNOWN QUADRANT's since they are areis outside of Omega VI and outside of the playing field. you may not go to these areas of the galaxy. The PULSAR is titled at 5,6,2. Notice that all the quadrants surrounding the PULSAR are show as SPACE NOISE. Because of the radiation given off by the PULSAR. the long range sensors are unable to pick up the details of any quadrant which us adjacent to the PULSAR. You must the PULSAR, the long range sensors are unable to pick up the details of any quadrant which is adjacent to the PULSAR. You must explore these by moving the Enterprise to each of the quadrants and picking up the detail with your science computer. Every person who is a fan of Star Trek(tm) knows that the Enterprise can fly many limes faster than the speed of light. This is accomplished by using a special type of propulsion unit called a warp drive engine. Warp drive is used to move great distances quickly. Assuming you're at quadrant 7,7,2 and you wish to go to quadrant 5,6,1, you would select item 7 from the main menu. 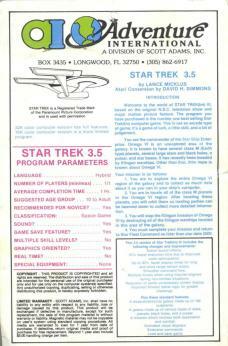 The program will prompt for the location of the quadrant you wish to go to, and then ask for the warp speed. Any warp speed from 1 to 8 will be acceptable. The higher the warp speed, the less time (star dates) it will take to reach your destination. You will, however, use up your ship's energy much faster than you would have at a low warp speed. While low warp speeds do save energy, you will use up more time (star dates) to reach your destination. Since you only have until star date 2500 to reach your destination, you must learn to use your energy and time wisely. When using the Warp Drive, you may travel to any quadrant you wish so long as you have enough energy. The powerful navigational computers aboard the Enterprise will automatically navigate around obstacles. The headings must be a number from 0 to 8. The number you enter can be entered with a decimal point. Next, you'll be asked to enter the speed. Enter an integer number from 1 to 8. The number you enter is approximately equal to one space. You can orbit a planet by simply moving the Enterprise such that it tries to occupy the same space as the planet. When you orbit a Class M planet, it implies that you have beamed a landing party down and explored it. This is an important part of your mission. You can also dock at a star base by doing the same thing. When you dock, your ship will be refueled, repairs are speeded up, and you will be restocking with photon torpedoes. DO NOT DOCK AT THE STAR BASE LOCATED IN QUADRANT 7,7,2 until you are ready to terminate the game and report back to Star Fleet Command. You can not use your impulse engines to go through something. If you do, a collision will result causing damage to the ship. If you collide with a star base, instead of docking. the incident will be reported to Star Fleet Command and will affect your rating as a captain in a negative way. You can NOT orbit or dock to a Klingon warship. You may use your impulse engines to move to another quadrant if you wish, Do NOT try to move the Enterprise outside of the Omega VI region. It is surrounded by an energy barrier and a collision will result. Selecting item 8 from the main menu will fire the ship's Phasers. The Phasers use energy from the ship's main power source to derive their energy. Before firing the Phasers, the program will prompt for the amount of energy to be used each time the Phaser banks fire. You may use as little or as much energy as you want, so long as you will still have some energy left after firing. Phasers are self-aiming. They automatically lock onto and fire at any Klingon warship located in the same quadrant as the Enterprise. The destructive power of the Phaser blast decreases with distance. This means that when you are considering how much power to divert to the Phaser banks, you must take into account the amount of distance between you and the enemy as well as the strength of his energy levels. The Phasers do not always hit their target. Klingon warships are smaller and less powerful then star ships, but can maneuver rapidly. As a result, they often can avoid a Phaser hit. The Phaser scans the entire quadrant and will try to lock onto and fire at each Klingon they pick up. However, the Phaser will not fire if there is an object between the Enterprise and the Klingon warship. This is the second type of weapons system aboard the Enterprise. The ship carries a maximum load of 3 Photon torpedoes. Docking at any star base automatically re-stocks the Enterprise with 3 Photon torpedoes. To fire a Photon torpedo, select item 9 from the main menu. You will automatically see a short range sensor scan. The program will then ask for the direction that the torpedo should be aimed. 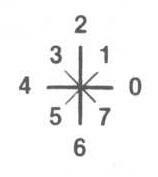 This will be a number from 0 to 8 (see compass diagram above). The torpedo will then be fired at the target. The advantages of Photon torpedoes are that they are very powerful and usually will destroy any target they hit. Furthermore, they use no energy from the ship to unleash their force. The disadvantage of using Photon Torpedoes is that they must be aimed and will fire at only a single target. Extreme caution must be used because if a Photon Torpedo hits anything other than a Klingon warship, that object will be destroyed. Star Fleet Command regulations prohibit the destruction of planets, stars, and, naturally, star bases. If you violate this regulation, the game immediately terminates. Like Phaser fire, Klingons can also maneuver themselves out of the way of the torpedo's path. Thus, a well aimed torpedo may not always hit the target. Powerful as Photon torpedoes are, it is possible, on rare occasions, for a Klingon to survive a direct hit -- usually with extensive damage. 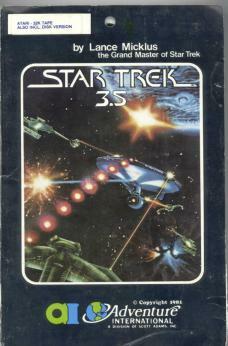 Experienced players have found that the Klingons like to position themselves between the Enterprise and some other object. As a result, a torpedo, which misses the enemy, hits the object in back of him. Be careful! Don't let the klingons trap you this way. The Enterprise operates at one of three levels of alert status. To change the alert status of the ship, select item 10 from the main menu, then indicate which one of the three alert conditions you want the ship in. GREEN - This is the normal alert status of the ship. The shields of the Enterprise are down and minimal power is drained from the energy supply reserves during any single term. If the Enterprise is hit by Klingon fire power, damage to the ship will be extensive. RED - At the other extreme is condition red which is the full battle ready condition. The deflector shields of the Enterprise are up to full power and give maximum protection from Klingon fire power. However, this greatly increases the overhead on the Enterprise's energy reserves. The amount of energy used up on any one turn greatly increases as compared to condition green. YELLOW - This is a battle watch level of alert status. The deflector shields are maintained at a moderate level. If hit by Klingon fire power, damage will still be extensive but not nearly as great as would occur in condition green. When the ship is in a yellow alert status, it will automatically switch to condition red if Klingons are located in the quadrant. Still, it's a better idea to be in condition red if you know you are going to be attacked. The reason is that the Klingons may fire at you first BEFORE the ship switches over to condition red automatically; thereby increasing any damage done to the ship during the first volley. Selecting item 11 from the main menu simply uses up a turn to speed repairs being made to damaged components of the ship. This command is not shown on the main menu, However, if you should want to save the present game, or restart a previously saved game, just type -1 from the main menu, then answer the prompts. Make sure your tape recorder is ready to either record of playback. 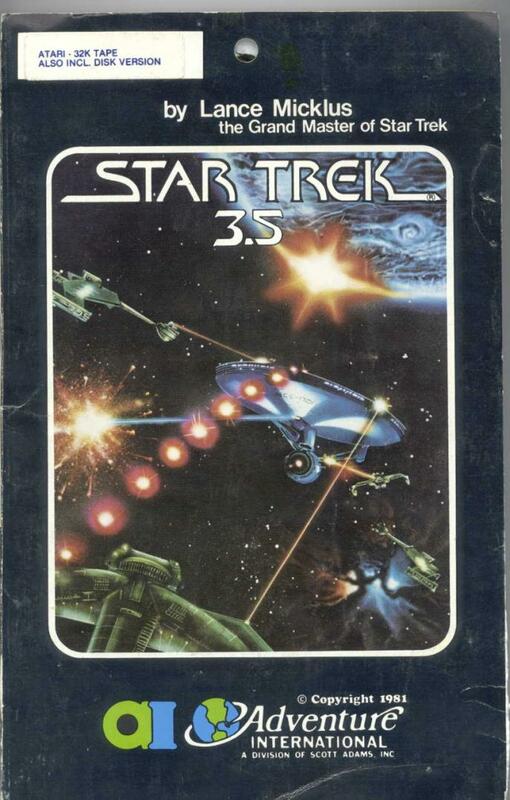 The disk version of Star Trek(tm) III will save the game to disk after prompting for a filespec. Using your long range sensors (#4-main menu), you should make a scan to gather data and then pick a quadrant to fly to. Using the warp drive (#7-main menu), you will fly to that quadrant and then take another long range sensor scan. Sooner of later, you will see a quadrant which catches your eye. Perhaps it contains only one star and one planet. Using your warp drive, you will fly to that quadrant and then use the Science computer (#2-main menu) to determine if the planet is Class M. If it is, you will then use your impulse engines (#6-main menu) to move the Enterprise toward that planet to achieve orbit. The battles with the Klingons are the most interesting aspect of the game. Before using your warp drive to move the ship to the quadrant where the Klingons are located, make sure you put the ship on red alert (#10-main menu). Then, enter the quadrant where the Klingons are located and try to destroy them using your Photon torpedoes and Phasers. Don't heave the battle area unless you have to because you're running low on energy. The Klingons can not recharge themselves until the Enterprise leave. A typical game lasts about an hour and a half. You will find pencil and paper most helpful to keep track of notes. 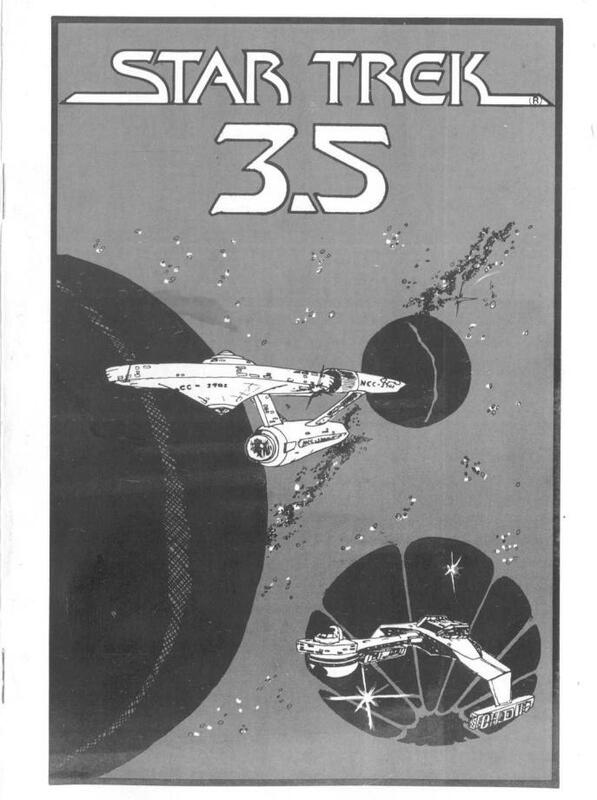 Version 3.5 of Star Trek (tm) III produces action sound effects. As you become an expert at playing the game, you may wish to speed up the pace. Two features are included for expert players. The first feature is an event skipper. Some of the displays are controlled by a waiting loop within the program. To break the loop and skip to the next event, simply press the (ENTER) key. You may have to hold it down for a moment before the program will catch it. This is normal. The second feature skips the main menu display. When the program prompts you to '(ENTER) to continue', you may enter any command from the main menu, it will pick up your command and immediately go on. With a little luck, a perfect command rating of 100 is possible provided you complete your mission and return before star date 2500. While you do not have to fly the Enterprise to every quadrant in Omega VI, you do have to pick up basic data about each quadrant with your long range sensors. Quadrants near the pulsar, however, must be visited individually since space noise prevents the long range sensors from picking up any details. Finally, you must destroy all of the Klingons and have orbited all 5 Class M planets. Your mission is completed when you return and dock at the star base located in quadrant 7,7,2. Good luck Captain. DON'T BE A PIRATE, This program is sold to you with the understanding that it will be used solely for entertainment purposes on a single computer system. You have every right to make backup copies of this program to protect your investment. Please don't use that right to infringe upon the rights of others who receive their fair royalty only when a sale is made. By all means, invite your friends over to play this game on your computer. But; don't let them borrow your copy to take home. If they like it enough to take it home, encourage them, instead, to buy a copy from their software dealer. If you want to trade programs, go ahead. But trade only those programs which you and your friends wrote or which are in public domain. 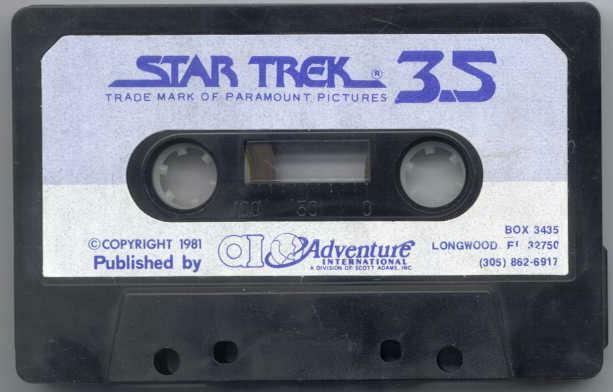 Star Trek(tm) III is protected by copyrights held by Lance Micklus. Inc., 217 South Union St., Burlington, VT., 05401. 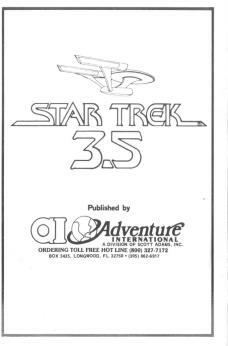 The use of the names, likeness, and ideas of Star Trek, as well as the use of some trade marks, is by permission of Paramount Pictures Corporation.